Do you want to learn how to build a funnel, how to drive traffic and make money from it? Especially it’s FREE? Funnel Hacker TV help you do that. Most of the marketers start to build the sales funnel in their business on these days. They read so many sales funnel book, join the course and have a foundation about that. But when they’re using it in their business, it doesn’t work. In the other case, the marketers do not have an idea to build the funnel. Because their business is really specific. So they would like to see the real sales funnel examples, get an idea and use it. I usually recommend my followers bought Funnel University and this is the best solution I ever saw. Because of Funnel University gave you so many funnel examples (that’s already working and make tons of money) from the different business. But it takes you $65 per month. And I think it so high with startup or business owner who stating. And especially it is FREE. Now let go deep into it. Funnel Hacker TV talk about? What I like and Didn’t like? Attention: If you want to have the best solution, I highly recommend you must get Funnel University. Because Funnel Hacker can help you get an idea, motivation, and the example too. But it not designed for teaching you any skill or tutorial. It’s like the entertainment videos include the lessons inside. As I said above, Funnel Hacker TV is a story behind the scenes of entrepreneurs (in this case is Click Funnel) but what exactly are they talking about? they’ll be sure to send you their newest episodes as they go LIVE! These stories are glimpses of entrepreneurs, business owner, startup, who just like you, they have a dream and vision to change the world in their little way. And they do it every day. So Russell uses the Funnel hacking process to help them make that dream and reality. Comeback about Russell Brunson, he is part of a small group of underground entrepreneurs that you’ve probably never heard of. Because every test is made with their money… And they have to be profitable from day #1. So, If you try to ask the MBA’s or look at your college textbooks, they’ll tell you that what they’re doing is impossible… And you know, it’s happening every day. It’s something Russell has to show you on his channel. Funnel Hacker TV not only about funnel tutorial, Russell also gives you the marketing strategy, the lesson that he learns and what he does in his company. It’s also FREE with the high value inside. I don’t have any reason to didn’t like it. But the video inside it not designed like a course that followed the step from A to Z. Each video is a different idea, strategy, lesson or behind the scenes. This is only Youtube Channel, so you can subscribe for less than 1 minutes. And most marketers better than him. So why I need to write long articles talk about it. The bonus is a reason. The first is “bootleg” recording of a presentation that Russell shares at a group that everyone pays $100k to be ing that room. The presentation was not published before. This is private. But most peoples talk about it everywhere and so many people message to them. So, they decide to post it online. Now, you do not pay $100k (but also get all of the value inside for free) to get it. 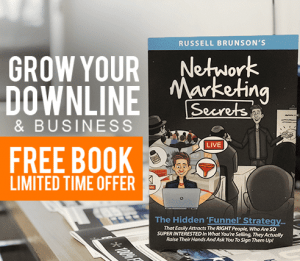 The next video is You’re just 1 funnel away – The presentation that Russell Brunson talk at Funnel Hacking Live Event. If you’re ever going to the seminar or something like that before. They’re usually talking about their success! Funnel Hacking live is different. At this point, Russell shares with you the failures that he ever had before – When they’re near bankruptcies, failure and what did they do to save the company and grow it. Funnel Hacker Tv is one of my favorite channel that helps me learn about not only sales funnel knowledge but also the marketing strategy, the up and down, what did they do when launching a new product and behind the scenes of Entrepreneurs. And I hope you may like it too.